Today I would like to introduce you to Alyssa Kerbel. 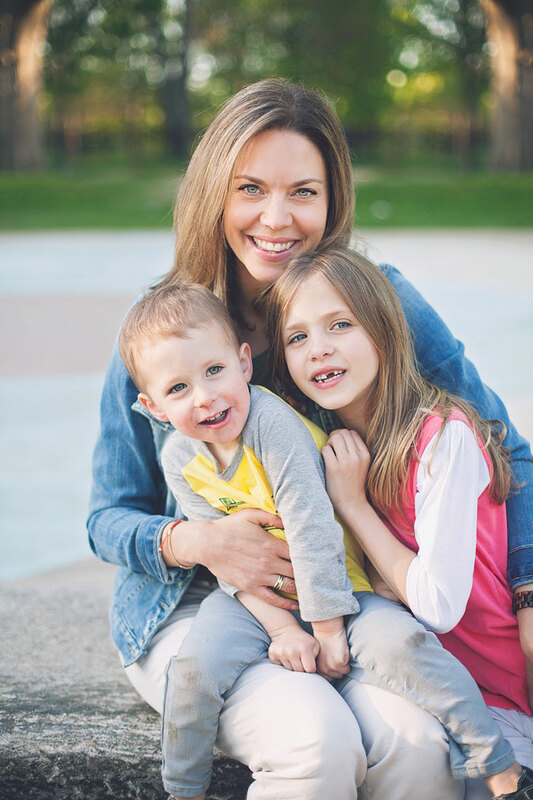 She is the founder & owner of mini mioche, an infant and kids clothing company based in Toronto, Canada. Mini mioche stocks their own collection designed by Alyssa herself, as well as several other stylish brands for your little ones. I fell in love for mini mioche’s super cute and timeless assortment (check out mini mioche’s basics here! ), their friendly and enthusiastic team, as well as their dedication to promote organic and locally-made apparel. I wanted to know more about mini mioche’s concept, history and the woman behind the brand. A: I gave birth to my first child in 2008 and at that time I found it very difficult to find great, simple basics for her – especially in neutral colours. Most of the clothing I found in the Canadian market had garish prints on it or just wasn’t my style. I had worked in the fashion industry for well over a decade and so I decided to draw upon my experience and start a brand of fashion basics for infants and kids. A: I would say there are a few main things that set mini mioche apart from most other childrens clothing manufacturers. Firstly, all of our clothing is designed and made in Toronto, Canada. Our super soft fabrics are knitted locally from organic cotton yarn to our specifications and are exclusive to us. The fabric is then dyed locally using low impact, non-toxic, re-usable dyes. 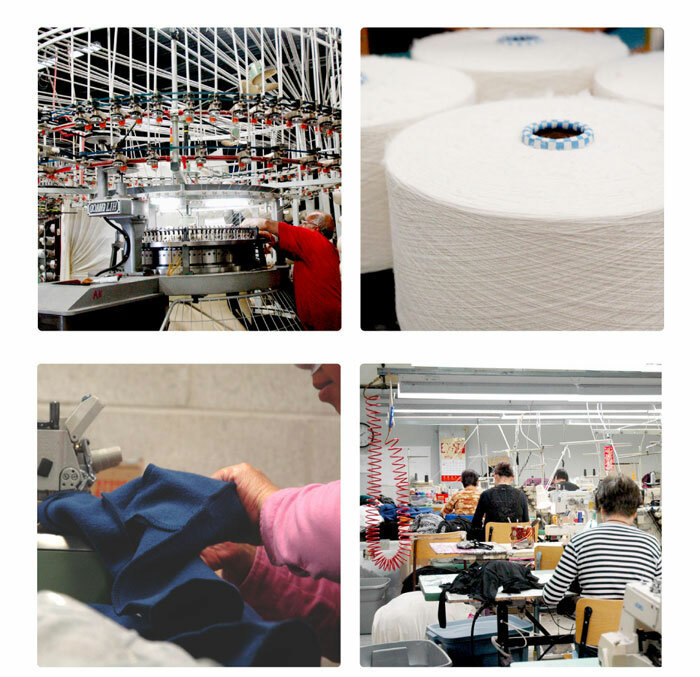 All of our clothing is cut and sewn in Toronto at a factory twenty minutes from my house, where I know the seams people and that they are treated well and paid a fair living wage. In addition to this, our aesthetic is very clean and simple. We generally try to make clothing that we would want to wear just shrunk down to ‘mini size’. Our goal is to make kids look cool and stylish but more importantly be comfortable and for our clothing to stand the test of time. A: My general aesthetic is pretty clean & simple. I am usually a ‘less is more’ kind of person. I would say that I get most of my style inspiration from people that I follow on Pinterest and Instagram. Right now I am loving the look and style of Anine Bing in particular. A: As mentioned above, all of the clothing in our stores is our own brand. We also carry a large collection of shoe brands – generally brands that have take down from adult such as Doc Martens, Converse, Bensimon, Aigle, Hunter, Saltwater, Birkenstocks, Adidas etc. For most of thhe other gift, toy and accessory brands we carry, I often find great smaller, independent designers on Pinterest and Instagram, as well as some lifestyle bloggers that I follow. A: There have been quite a few major challenges along the way. We grew a lot last year with the opening of our second brick & mortar store, the renovation and expansion of our first store and the re-design of our web site. In hindsight that was probably a little too much to do all at once but I have a very hard time saying no to a great opportunity (even if the timing isn’t great). It made for a very challenging year to say the least. Thankfully we are beyond it now and are enjoying the fruits of our (very intense) labour. A: I love how creative I can be – from designing the clothing, to selecting the items we carry, to putting together the marketing materials. It is never, ever boring – I am always learning something new and am constantly challenged. A: I am proud of what we have built over the last 6 years. In a time where a lot of retailers are having a very difficult go of it, we have been able to open two stores and launch an online store and see consistent growth year of year. A: We always have some exciting projects in the works. We just launched our own line of Italian leather booties (made entirely in Canada) and we are launching another collection of fabric and suede booties this week. This season we launched an incredibly successful collection with the Toronto design company, Bookhou and we will be doing another variation of that for spring 2015. We also have several new exclusive accessory items that are launching this season. A: I absolutely love the overalls and cowl hoody from our mini mioche x Heart & Habit fall collaboration. I love our new leather booties – the leather is so luxe and beautiful and they actually stay on. I am also in love with all of the winter wear we have from Scandinavian brand Barts – I want one of pretty much everything for myself. 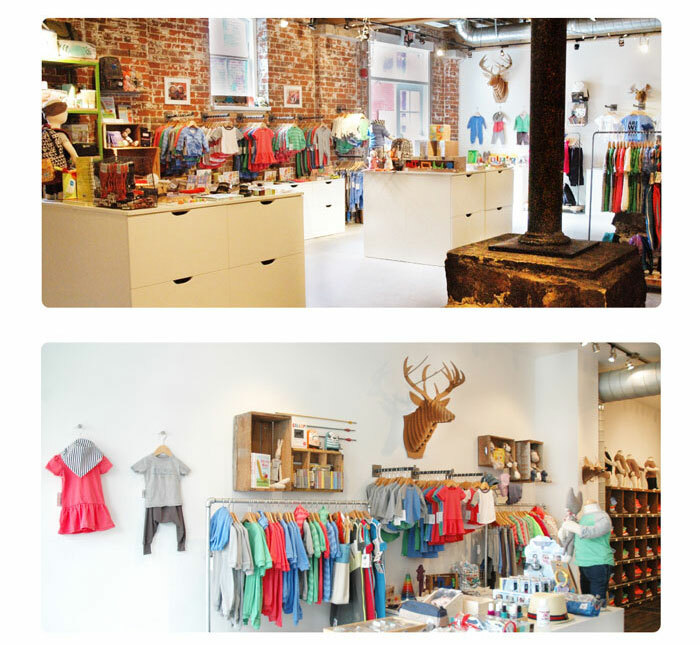 Next time you are in Toronto, make sure to visit mini mioche’s brick and mortar shops in Toronto. In the meantime, you can shop online here!